Complete 4 Stage Replacement In-line Filter System. 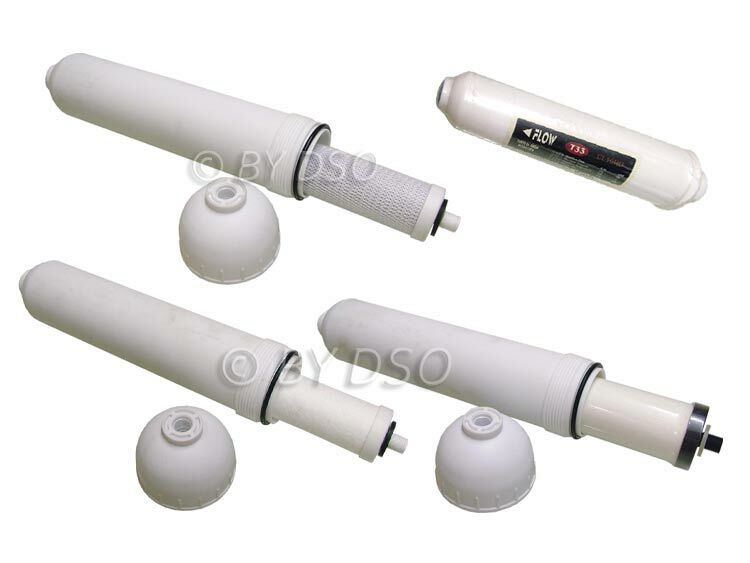 Consists of the following filters: 1) Fibre Filter 315: 315 x 73mm. 2) Block Active Carbon Filter: 315 x 73mm. 3) Ceramic (0.1-0.01 micron) Filter: 315 x 73mm. 4) In-Line / Post Filter: 255 x 52mm. Please ask if you have any questions. If the item is purchased by mistake please make sure they are kept UNUSED. Used returns are strictly not accepted on these items.